Drowned In Sound is off to the Brecon Beacons next week for the 16th edition of Green Man. Taking place from Thursday 16th to Sunday 19th August, this year's event (as with most of its predecessors) has already sold out, which is no surprise given the glowing plaudits laid at its door by critics, artists, and punters alike. 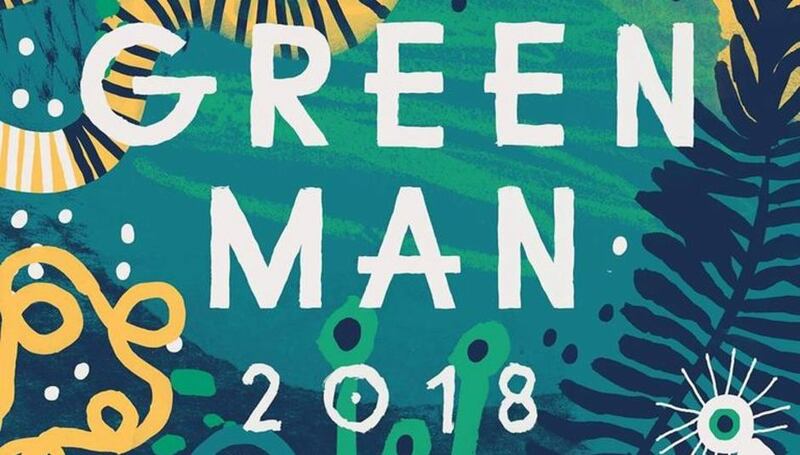 Situated in the heart of the South Wales countryside, Green Man is one of the most picturesque events on the festival circuit while it's family-friendly ethos and commitment to focusing on locally sourced produce also sets it apart from the majority of its levels. It also regularly boasts an incredible lineup and this year is no exception, so without further ado, here are the ten acts we're most looking forward to seeing. This London based trio formed in 2015 and have been making experimental soundscapes with a hint of post-punk ever since. Their debut album Yes I Jan came out earlier this year on Lost Map Records and is one of the finest we've heard in many a month, so it's probably fair to say we're more than a tad excited for their Thursday evening slot here. Although Baxter Dury has been making critically acclaimed records for the best part of two decades, his career received something of a resurgence last year thanks to Prince Of Tears, his fifth long player and first for Heavenly Recordings. With the title track, 'Cocaine Man', and 'Miami' already proving to be floor fillers around the globe, we predict a similar response at Green Man too. Also signed to Heavenly Recordings, this Cardiff four-piece have emerged this year as one of the most innovative guitar-driven outfits on UK shores. Essentially the brainchild of Davey Newington, their debut album 1, 2, Kung Fu! fuses Super Furries style sonic weirdness with danceable post-punk and alluring folk anthems to create one of the records of the year. Country-tinged lo-fi post-punk with a socially aware conscience that's both unique in delivery and insatiable once heard. Goat Girl emerged from the same South London scene as the Fat White Family and Shame which is where any similarities end, but their show is still no less memorable. And in the likes of 'Creep', 'You're The Man', and the Theresa May baiting 'Burn The Stake', they have the tunes to match. The last time the Gizzards played here two years ago they completely stole the show and only a brave soul would bet against them doing the same this time around. With five more albums under their belt since that last Green Man appearance, they have an abundance o material to choose from. But one thing you can be sure of; whatever they decide to play; is it will be played with 110% energy as if it were the band's last ever show. In a nutshell: Simply unmissable! This Cardiff based five-piece have been making waves recently thanks to their effervescent live shows and woozy, ethereal sounds that have seen them compared to Slowdive and the Stereolab. Despite only being together just over a year, they've come on leaps and bounds in such a short space of time, and their appearance on the much coveted Green Man Rising stage is just rewards for their dedication and dexterity. Most bands only record one masterpiece during their career, if they're lucky. So for Teenage Fanclub to have done two, in the shape of 1991's Bandwagonesque and 1995's Grand Prix, already assures them bonafide legendary status. Now eleven albums into their career, it's a bit of a coup for Green Man to get such an esteemed band as this to play their festival so the last thing anyone would want to do is go and miss it. Right? Last year's fifth album Death Song was up there with The Black Angels' finest releases to date, as were the shows that accompanied it such as their incredible headline slot at Liverpool Psych Fest last September. So it goes without saying expectations are high here, and with such an esteemed body of work behind them, this promises to be one of Green Man's most eagerly anticipated performances in the festival's history. Anton Newcombe is one of the most prolific, consistent and genuinely groundbreaking artists of his generation, and with his band, The Brian Jonestown Massacre, has toyed with pretty much every genre known to man throughout their existence. Their 18th album Something Else came out in June with another set for release next month, so expect the odd new song to seep into the set alongside fan favourites 'Who? ', 'That Girl Suicide', and 'Anemone' among a host of others. Late replacements for John Maus who had to cancel after his brother tragically passed away last month. David Gedge has become something of a British institution since forming The Wedding Present back in 1985 and this year marks the 30th anniversary of Tommy, a compilation of demos, radio sessions, and early recordings that's gone on to achieve cult status ever since. Although there hasn't been a new Wedding Present record since 2016's Going, Going, Gedge is always writing so a new song or two might sneak out alongside their more familiar works. For more information about Green Man, including the full line up and stage breakdowns, please visit the festival's official website.